A rare one in 1/72nd scale. This was one model in a group of six that Aurora was to release in 1968. The six models were to be a Cessna Skylane, a Lear Jet, the Jet Commander, Cessna Skymaster, Piper Cherokee and Piper Aztec. 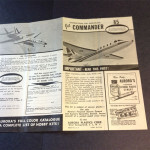 Due to concerns that civilian aircraft models did not sell well Aurora management had the molds made in Portugal where they would cost half as much as in the US. When the molds were received they were found to be so bad that only the Jet Commander, Skymaster, Cherokee and Aztec were produced. As expected they did not sell well and were removed from the Aurora catalog within two years. After a long and torturous history Aurora passed through many hands till finally in 1977 Monogram purchased most of Aurora’s molds. While being transported from from West Hempstead, L.I. to Morton Grove Illinois the train carrying the molds derailed, scattering them across a farmers field in upstate New York. 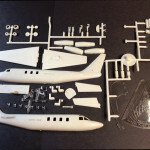 After recovery the Jet Commander and Skymaster molds were found to be destroyed along with the Halberstadt CL.II, the Breguet 14 and Albatross C-3. A sad end to some old favorites we grew up with. 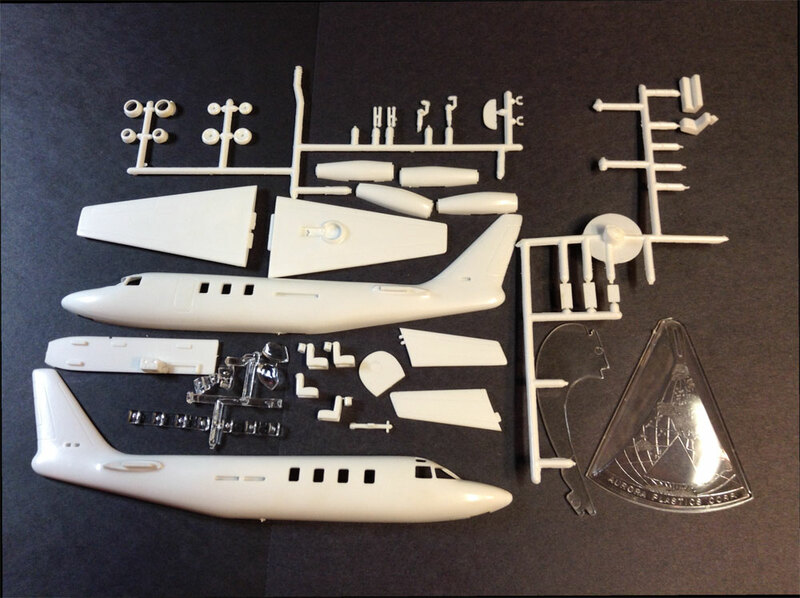 The kit contains 36 parts in that famous Aurora white plastic along with 6 very thick clear plastic parts. It originally sold for one dollar. There is a simple cockpit along with passenger seats and a small bar for the cabin. There is no surface detail but there wasn’t much on the real aircraft. 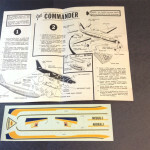 The decals, which still look good, represent the prototype Aero Commander Jet Commander first flown in 1966. When you look at the kit it reminds me of a limited run kit of today. The dry fits are not bad and with a little work I think it would build up very nicely. By the way I purchased this kit from Grants in 1968, the discount price was 89 cents! I saw one for sale on eBay for $94.00 but wouldn’t trade it for the world, just too many good memories go with it.